When you use the shower, you are sending a large variety of questionable materials down the drain. Everything from dirt, soap scum, shampoo, hair…you get the idea. A large majority of shower clogging problems can actually be addressed on your own despite what people may think. All you need is some guidance and some basic tools. 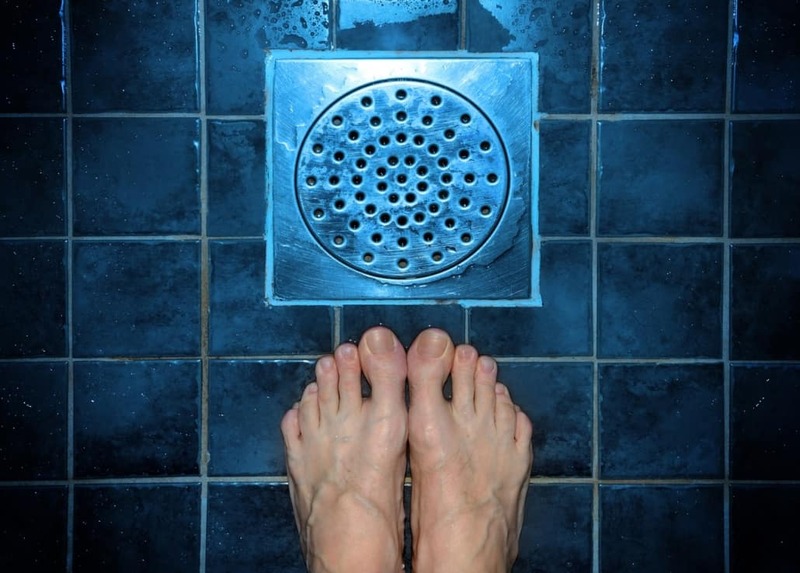 Here are 7 ways you can clear your shower drain of clogging. Pro Tip: It may take multiple methods to get it all out. This method is a tried and true old school one that requires very little of you. Boiling water has the ability to potentially break down grease, soap, and other blockage that can be causing the problem. If you use this method solo, it may not be strong enough to clear big build ups, but used in tandem with another method, you may find great success. You can use everyday solutions such as vinegar and baking soda to dissolve buildup. First you’d pour 1 cup of baking soda down the drain, wait a few minutes, and then follow it up with 1 cup of vinegar. After waiting a few hours, you can check to see if hair and build up has been dissolved and follow it with your boiling water method. Yes, the plunger is primarily a toilet solution, but the science behind it works for any unclogging problem. Depending on the type of blockage you experience, where it is within the pipe, and how the drain is designed is going to determine whether or not a plunger will be a successful solution. If the problem is hair buildup, it might be very difficult to gain enough suction power. This is one of the lower success rate methods, but it is always worth a try. Sometimes you just have to get in there and do the dirty work. Using gloves, you can remove the drain cover and pull the blockage out that way. You may need to use a flashlight to see it, but if it’s within reach, you can pull it out and you’ll often find this is a very successful method. If you find the clog is a little out of your reach, you can always use a hook or wire. If you don’t have one, check to see if you own a wire clothing hanger and you can unwrap it to use it as a tool! Sometimes the buildup is too deep, too strong, and too difficult for the natural approach. Most stores sell a variety of stronger chemical cleaners that are designed to unblock drains. When you can, try not to use chemicals as a first resort as they can often cause damage to the pipes, especially when used multiple times. You can rent or purchase a plumber’s snake at most department stores. All you need to do is push the snake down the drain until the clog, and the bring it back up again. You’d then test by running the water to see if the clog has been removed. If not, repeat. No one wants it to come to this, but if all of these methods fail you, it may be time to call a professional. Unless you want to take the entire drain apart, this might be the simplest option. Give ProFlo a call when you’re concerned. Ultimately, prevention is the best option when it comes to situations like this. 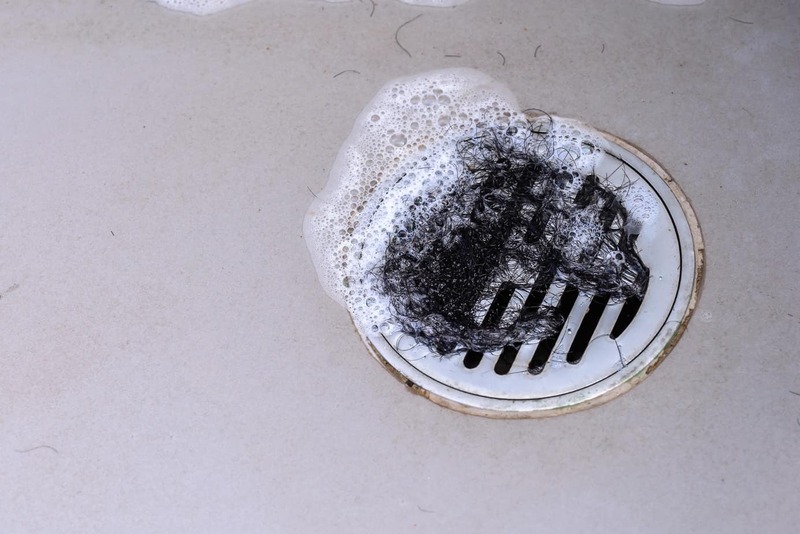 We’d recommend investing in a drain protector that can catch hair and other buildup before it enters the drain. You can also help the problem by ensuring your soap stays on a soap dish since it can run into the water and eventually stick hair together into clumps that are more likely to cause issues. If you are curious about more shower related problems, you can check out Signs your Shower has a Plumbing Problem by clicking here.